While majoring in English at Mills College in Oakland, CA, Sonja became an intern her junior year at Francis Ford Coppola’s company, American Zoetrope. She did everything from transcribe interviews between Coppola and subjects he interviewed for script research to organize live dramatic readings with actors of Bram Stoker’s Dracula which Coppola directed. After her two-year internship, she was offered a job at Coppola’s L.A. film office on the Sony Pictures lot where she read numerous screenplays and wrote coverage and notes on various projects in development for Coppola to produce and / or direct. She worked alongside both Sofia Coppola (Lost in Translation, The Bling Ring) and Roman Coppola (Moonrise Kingdom) on projects they were developing for both film and TV. After American Zoetrope’s deal at Sony ended, Michael Lynton (current CEO at Sony Entertainment) hired Sonja to work as a creative executive at Walt Disney’s HOLLYWOOD PICTURES. There, she listened to hundreds of pitches and read countless screenplays and soon-to-be published novels for possible film adaptation. Her development slate included Jack (Francis Ford Coppola, director), GI Jane (Ridley Scott, director), Firelight (William Nicholson, writer/director), The Negotiator (F. Gary Gray, director), The Horse Whisperer (Robert Redford starred in and directed the screenplay adaptation), among others. She attended film festivals to identify new writers, directors, and actors for future projects and mentored Maria Jacquemetton, Emmy-award winning writer of Mad Men, through the Disney writers fellowship program. After Walt Disney shut down Hollywood Pictures at the zenith of its success, Sonja’s co-worker and mentor, Steve Tao, moved to ABC and hired Sonja to work as a director of drama development and current programming. During that year, she listened to approximately 300 pitches and the drama department purchased 50 of them for the development season. She developed and supervised the production of one-hour pilots and series such as Elmore Leonard’s Maximum Bob, Fantasy Island, Prey, Vengeance Unlimited, and C-16. After her stint as a network executive at ABC, Sonja became Vice President of development and current programming at Imagine Television, supervising Aaron Sorkin’s Sports Night, JJ Abrams and Matt Reeves’ Felicity, David Lynch’s Mulholland Drive, among many others. When she later became a senior VP, she gave notes to producers Howard Gordon, Evan Katz, Bob Cochran and Joel Surnow on 24. She also developed The Inside, a pilot to series with writers Todd and Glenn Kessler (Damages) and Academy Award winning director, Kathryn Bigelow (The Hurt Locker and Zero Dark Thirty), based on an article written by Mark Boal (The Hurt Locker, Zero Dark Thirty). After her time at Imagine Television, Sonja did the unthinkable and took a year-long sabbatical. Feeling she had only experienced life through the eyes of Hollywood since college, she took a year off to live a life outside of the tinsel tower. She took graduate courses in theology from Reformed Theological Seminary, taught kids of all ages as a substitute teacher at a school in Los Angeles, and then got married. After her sabbatical, Sonja was approached about taking on the Senior VP of Drama position at Universal Television. In her tenure there, she sold 20 scripts to major broadcast networks, 5 of which became pilot orders, and three of those became series: American Dreams and Mister Sterling, both at NBC, and Robbery Homicide Division, created by Michael Mann, for CBS. Sonja didn’t grow up in a Christian home, but heard the Gospel from a stranger when she was 8. From that point forward, she acknowledged her need for Christ as her Savior, but her parents’ subsequent divorce and a lack of church attendance kept her faith in arrested development. It wasn’t until she graduated from college, moved to Los Angeles, and joined a church and Bible study that her faith began to grow. For the next 15 years, she walked on a tightrope, balancing her growing faith while working in film and TV. She was blessed to have bosses and co-workers who respected her devotion to church and weekly Bible studies. She started to view Hollywood as a mission field and wanted to represent Christ, albeit imperfectly, in an industry that often misunderstands the Christian faith. On many occasions, she has spoken up about incorrect and one-dimensional stereotypes. 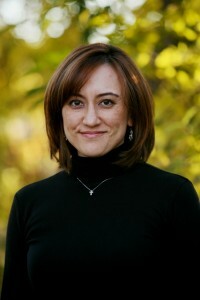 Despite leaving Hollywood to go into ministry (her husband is a full time pastor), Sonja has remained active in film and TV as various friends and former colleagues, both in Hollywood and in the faith-based world, have solicited her feedback, notes, and help on various projects with faith-based themes. Sonja’s desire is to help faith-based writers make their projects more accessible to both secular and faith-based audiences without compromising their vision and message. Many of the recent successes of faith-based projects have alienated critics and secular audiences—she hopes to bridge the gap between faith-based artists and Hollywood. 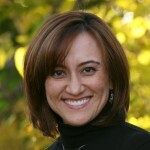 Similarly, if anyone in TV or film wishes to develop faith-based projects but doesn’t want to alienate faith-based audiences, Sonja provides unique insight and experience as she currently ministers to a racially and socio-economically diverse people of faith who love to watch TV and movies (a perfect cross-section of a faith-based audience). Sonja loves combining two of her great loves: faith and stories. She enjoys reading different genres of books, going to opening night for every Marvel film with her boys, and writing articles for Counseling Solutions at http://www.rickthomas.net/.